India is the center of innovation in the global effort to create a financially inclusive world. Today, India is the center of innovation in the global effort to create a financially inclusive world. India’s government, fintech sector, investors, and financial service providers are making remarkable progress: the country’s pro-financial inclusion policies and the growing use of mobile phones have connected more people to inclusive financial services than ever before. According to the World Bank’s Global Findex, only 35 percent of India’s adults had access to an account in 2011. In 2017, 80 percent did. Access alone is just a start. It’s an important first step toward a world where everyone has the broad array of basic financial tools they need to help themselves. India’s micro, small, and medium enterprises (MSMEs) employ roughly 120 million people, making them the second largest ‘sector’ in India’s economy by employment, following agriculture. But despite their importance, these businesses often struggle to obtain the financing they need to hire, expand, or purchase inventory. 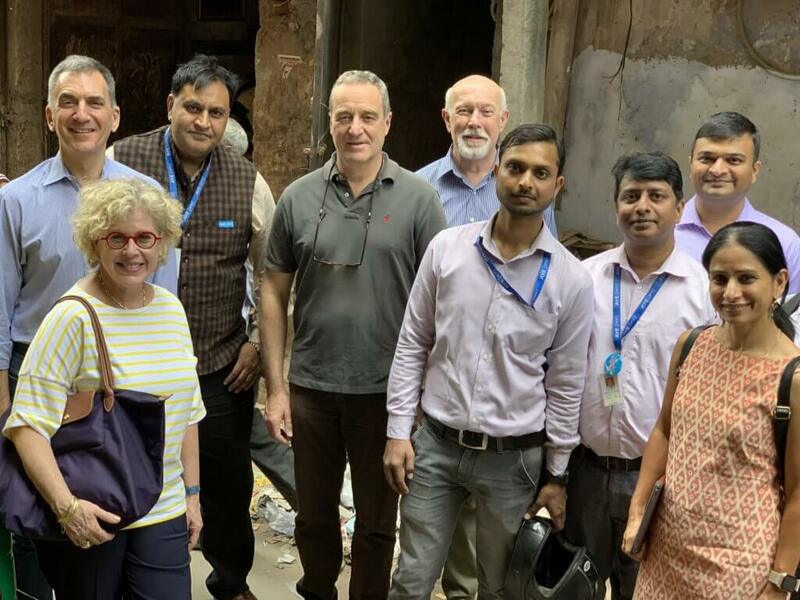 Visiting Accion partner Aye Finance in the Shadhara area of Delhi to see how Aye is creating opportunity for cluster-based clothing and shoemaker businesses. The Indian government is addressing this issue through its Make in India program and by offering MUDRA loans to small businesses. 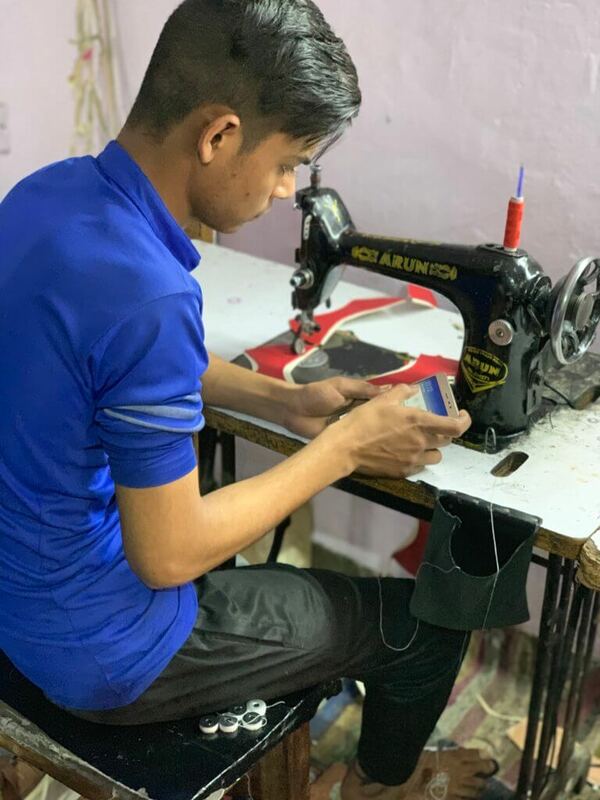 Accion’s local partners are also supporting India’s MSMEs: Aye Finance studies small business clusters like brass works and garment weavers to understand how these businesses work and their typical financial performance. This information helps Aye acquire, vet, and lend to underserved customers quickly: Aye has grown from a startup to serve more than 60,000 clients, most of whom would not have received formal credit from any other lender. Likewise, Accion partner Northern Arc lends to nearly 200 microfinance institutions and inclusive fintech startups that, in turn, help more than 30 million clients send their children to school, launch businesses, and more. In 2018, India had the world’s largest rural population: 893 million people. In the past, it has been very challenging to reach rural communities and provide them with savings, credit, insurance, and payments. But financial services should work everywhere — not just in major cities. That’s why we’re working with financial service providers to find new ways to help rural areas. For instance, Accion partner Sub-K uses a banking correspondent model to reach the last mile for extremely remote customers: correspondents are small shop owners and other retailers who work where financial service providers typically don’t. They can transfer money, take deposits, and accept documentation on behalf of a bank, ensuring that customers can use financial services anywhere. Sub-K has used this network and its relationships with third-party banks to provide more than 2.2 million rural customers with credit, savings, payments, and other financial services. We also work with Dvara KGFS, which provides a wide range of wealth management services to meet more than 320,000 rural clients’ needs. It uses a combination of back-end technology and human touch to reach out to clients and provide them with individual advice and assistance, no matter where they live or work. India is a global role model in digital innovation and inclusion. Financial advisory services help families plan ahead and develop the skills needed to develop their financial health. But these services typically aren’t affordable for underserved customers: it can cost too much to provide low-income people with personalized financial advice. But by using technology, we can provide everyone with individual financial insights that promote their long-term financial health. Accion portfolio partner Fisdom assesses users’ information to deliver unique tax, investing, and savings recommendations that help customers make informed financial decisions. Fisdom also offers insurance and pension products to help its clients prepare for the future. Fisdom is reaching clients who have never invested before with initial investment amounts of just a few rupees. Likewise, Accion’s Dialogue on Business program with Standard Chartered UK has trained thousands of entrepreneurs on business management skills. We’ve also worked with Axis Bank to offer our Money Plan program to 30,000 people, helping families budget and use financial services to reach their goals. In the past, it cost insurance providers too much to sell, collect payments for, and administer policies to the underserved. But without insurance, many families live one illness, injury, or natural disaster away from financial ruin. Accion’s insurtech partners are using technology to protect some of the world’s most vulnerable people. They’re also demonstrating that insurance has immediate value and application. For instance, our partner Toffee Insurance sells health, personal accident, and lifestyle policies targeted to specific customer needs, such as accident insurance for bicycle commuters or dengue or seasonal disease insurance. By making insurance affordable and relevant, Toffee provides the policies that help more people recover from hardships. Accion will continue contributing to India’s remarkable progress promoting financial inclusion. By prioritizing these four issues and working alongside our local partners, we’ll help more Indian families and businesses access, use, and benefit from the formal financial sector.